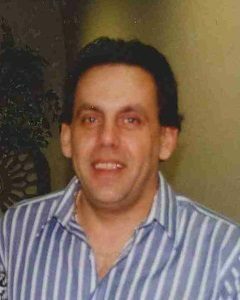 Mark Zimprich, age 57, of Lester Prairie, Minnesota, died on Wednesday, March 20, 2019, at his home in Lester Prairie, Minnesota. Memorial Service will be held on Friday, March 29, 2019, at 6:30 P.M. at the Lester Prairie City Hall in Lester Prairie, Minnesota. Mark Steven Zimprich was born on March 6, 1962, in La Jolla, California. He was the son of John Lawrence and Rita Rose (Rosselli) Zimprich. Mark was confirmed into his faith as a youth in Lancaster, Wisconsin. He received his education in Lancaster, Wisconsin, graduating with the Lancaster High School Class of 1980. Mark furthered his education by attending DeVry University for IT Tech classes and received his Associate Degree. Recently he took classes to become a certified crane operator. On January 10, 2002, Mark was united in marriage to Susan TeRonde in La Crosse, Wisconsin. Mark and Susan made their home in Onalaska, Wisconsin, and Lester Prairie, Minnesota. Their lives were blessed with four children, Jason, Amber, Jake and Cassi. Mark and Susan shared 17 years of marriage. Mark worked as a conveyor system installer and currently was working for Honeywell as a mechanical installation supervisor. He enjoyed attending his son’s sporting events. Mark treasured the time spent with his family and friends. Mark passed away on Wednesday, March 20, 2019, at his home in Lester Prairie, Minnesota, at the age of 57 years and 14 days. I’m sorry for your loss, l had a lot of good times with Mark!